Summer has come to an end which means less as the weather gets colder, plants stop growing and the leaves start falling. Give your lawn a little TLC so you can have a healthy grass once spring comes around. 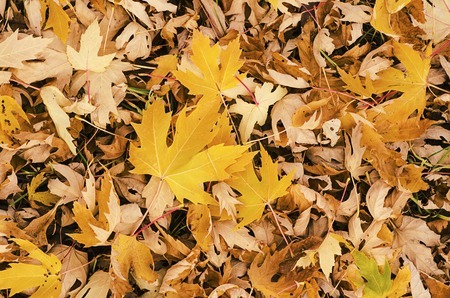 Get your yard prepped for the coming cooler weather with these preparation tips for the fall and winter months. Removing cores of soil in your lawn will break up compacted dirt and allow more water, oxygen, and nutrients, to reach the the grass roots. This improves the growth of your lawn and makes it look much healthier. If you choose to use an aerator that removes plugs of soil, using it in early fall gives the soil time to settle back down by spring. This is a great time to prune shrubs and trees to remove extra growth and dead limbs. If icy weather occurs you have less risk of damage to your yard and home if those dead limbs and branches aren’t there to break under the pressure of ice accumulation. Collect the leaves that have accumulated on your lawn. It isn’t a good idea to allow the leaves to pile up and cover the grass all winter. This keeps the grass from growing and can actually cause mold growth from the cold, wet weather in winter. Tip: There’s no need to throw out those leaves. Keeping the dead leaves in a compost bin over the next several months will leave you with plenty of mulch to use once spring arrives. Maybe yard maintenance isn’t your forte or there just isn’t time to get it all done on your own. If you are in the Granbury, TX area, there is no need to do it yourself! Call MDM Landscapes at 817-396-0125 for all your lawn care and landscaping needs. Posted in Uncategorized on September 19, 2016 at 6:10 pm by MDM Landscapes.